This time we will look into Docbook/Fop/PDF generation, which is much more complicated than what we did previously with HTML and txt. In this serie of blog post I will describe the details of how I have used AsciiDoc, DocBook & co. to generate a book in various formats. 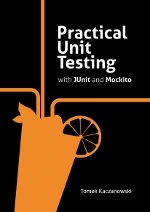 When discussing unit tests it often happen that I hear that "unit testing is about testing methods". I do not agree, and because this is something which surfaces here and there so I think the idea deserves a comment. 1000 words about Java generics. New JUnit book is available! I hope you enjoy it! 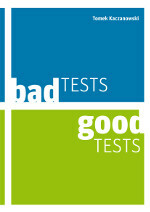 JUnit And TestNG - Similar Or Different? 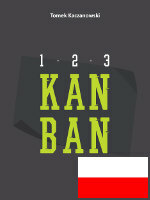 The slides from my short talk about JUnit and TestNG on 18 April 2013, BrighTalks. To view the presentation click here. 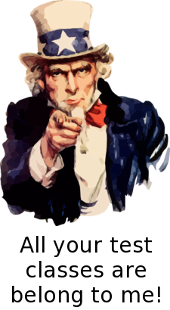 A simple code kata - "Pager" - which could be used by those who try to learn programming, and especially for TDD beginners. Oh, a failed test again! And not on your local machine but on the CI server! What to do, oh, what to do?! One of the first steps in increasing your agility is learning to listen to your code, and more importantly - to listen to your tests.